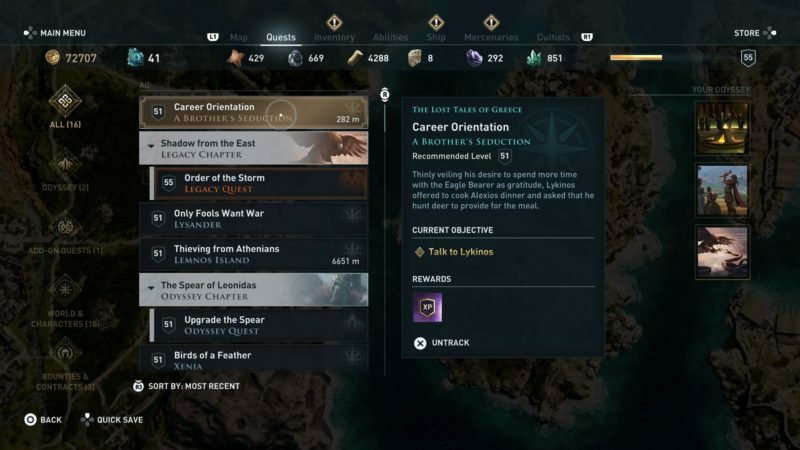 Career Orientation is a quest under The Lost Tales of Greece in Assassin’s Creed Odyssey. Your task is to look for Lykinos and talk to him about his career path as a poet. 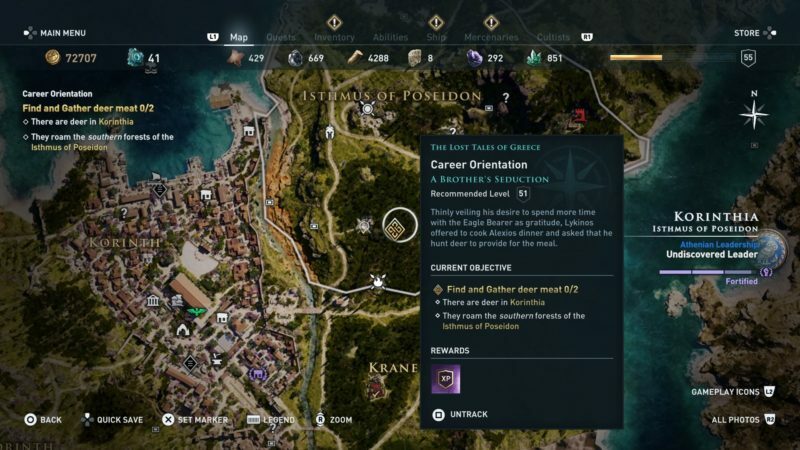 Here’s a walkthrough of Career Orientation in AC Odyssey. 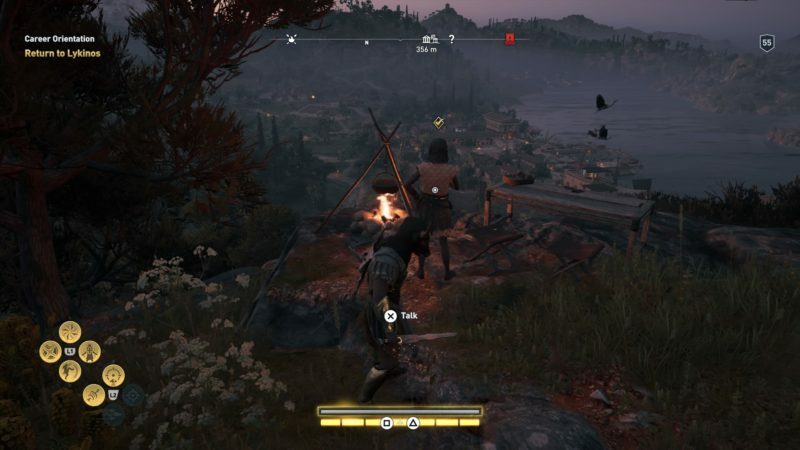 This quest is recommended for those level 51 and above, but it differs according to your own character’s level. 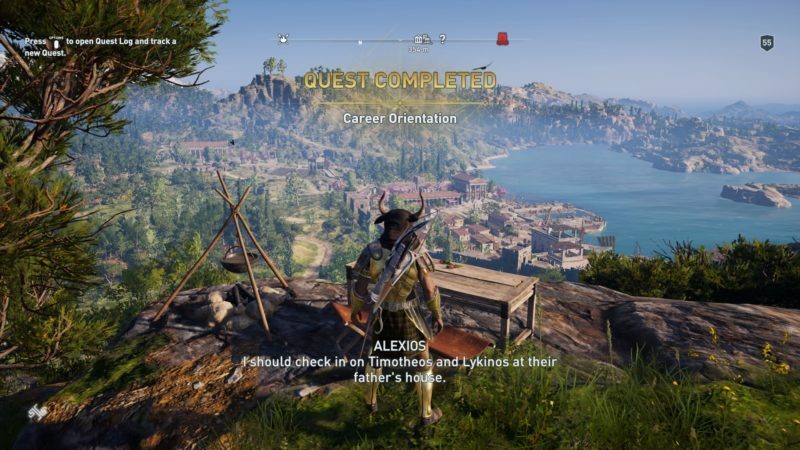 Your first objective is to meet and talk to Lykinos. 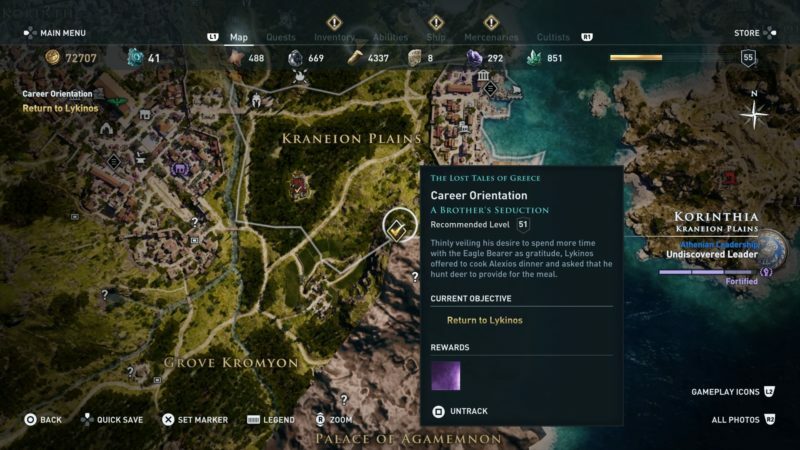 You can find him in the exact location shown in the map below, marked as the quest symbol. He is inside his house. Talk to him inside the house. 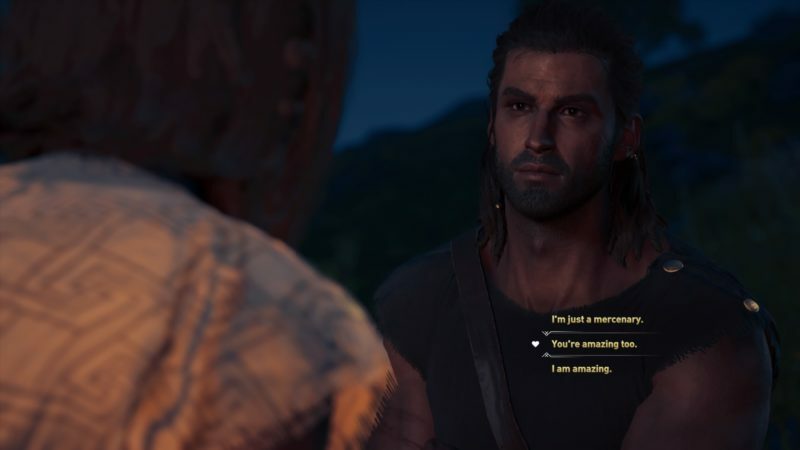 Both of the brothers are actually a romance option, so you may want to choose the conversation options accordingly. 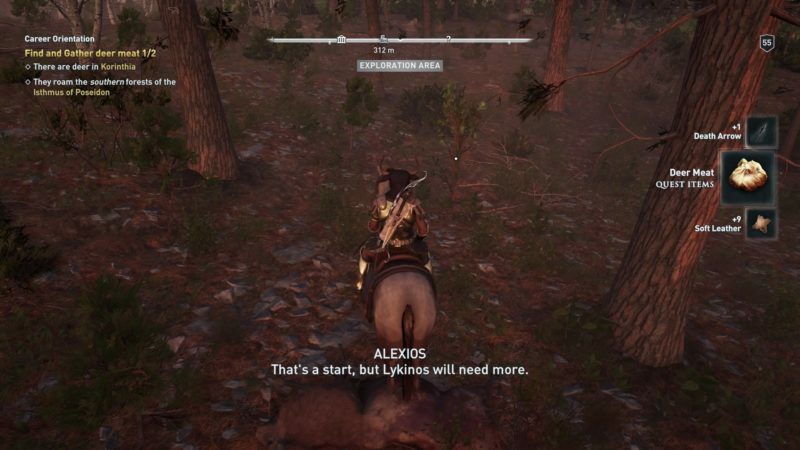 Lykinos then wants to cook, but he needs some deer meat. You have to help him to get it. If you’re not sure where to hunt for them, you can follow the location shown in the map below. It’s in the Isthmus of Poseidon. The exploration area is pretty big. 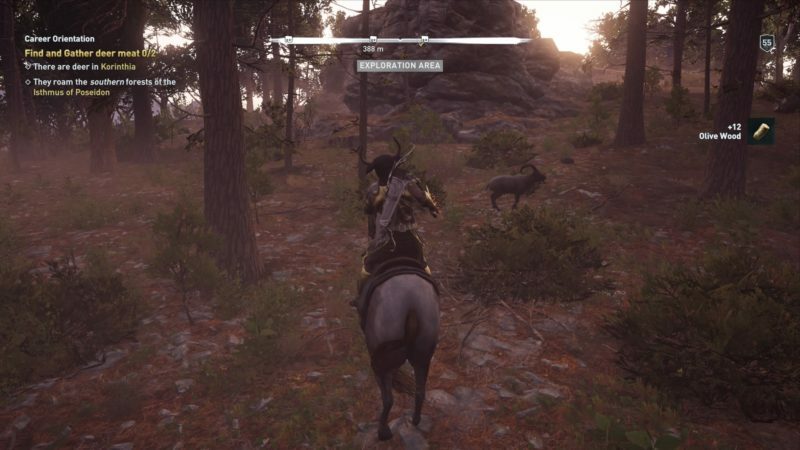 You will notice some deer around in the forest, but there are also predators here. You may want to get rid of the predators first. Once you’re done, kill two deer and loot the meat. 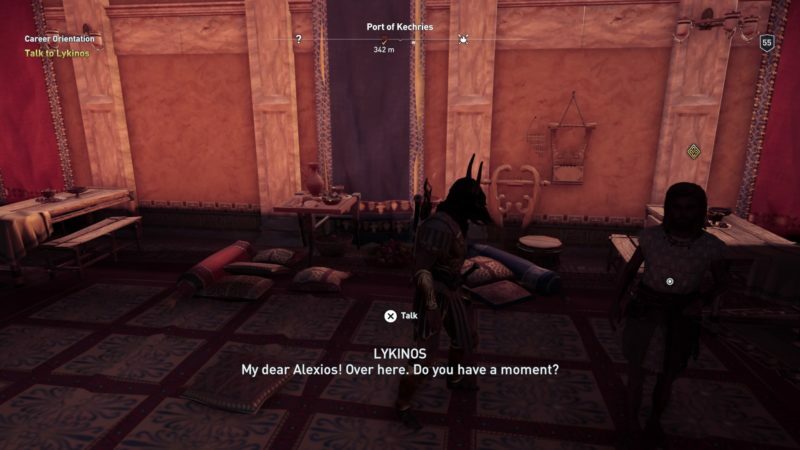 Lykinos isn’t in his house this time. He’s waiting for you on a hill with a great view. 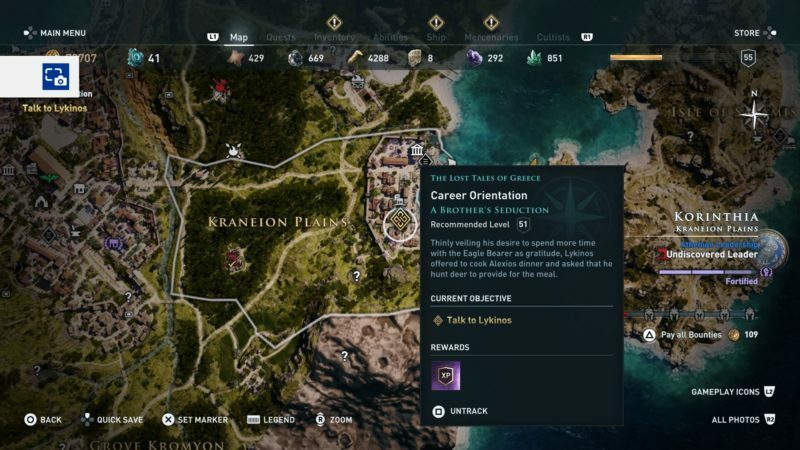 The exact location is shown in the map below, marked as the quest completion. 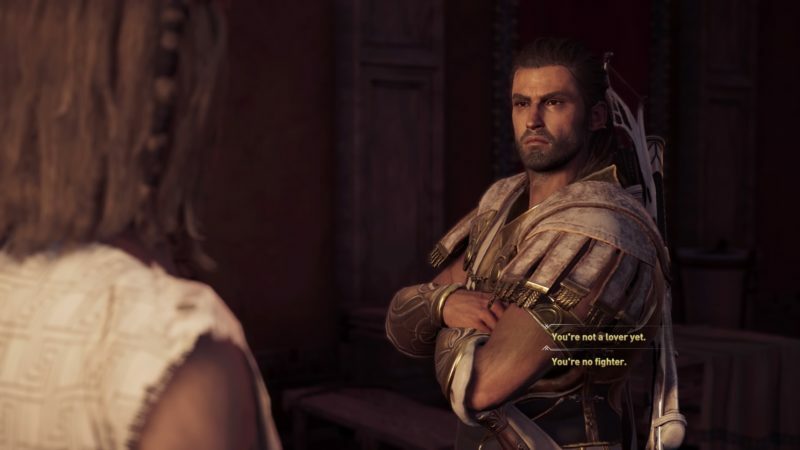 If you choose the romance option, then the outcome may be slightly different. I chose a non-romance option. The quest completes here and there are no rewards if you follow my footsteps.